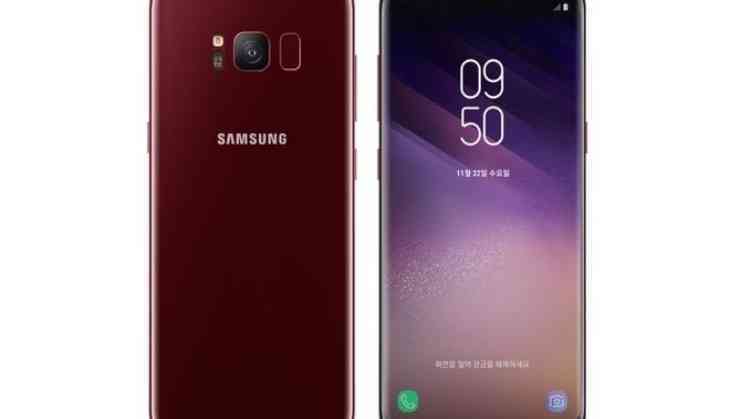 Samsung has announced to launch the new variant of S8 in new burgundy red colour at the price of Rs 49,990 in India. Last year South-Korean tech giant launched its flagship smartphone Samsung Galaxy S8, which was also the best-selling smartphone. Its new variant will start selling from 13 April onwards in all the retail outlets across the country. The customer will also get Paytm cashback of Rs 10,000. The same offer is also applicable on the sale of Galaxy Note 8 and Galaxy 8+. In order to avail the cashback customers need to apply the promo code SAM10K at the time of payment. The cashback will be credited to the user wallet at the 12th day of delivery. After subtracting the price of cashback, the price will be reduced at Rs 39,900. Apart from the new Burgundy red colour, other options are Midnight black, Maple Gold, Orchid Gray. The Samsung Galaxy S8 has the 5.8-inch QuadHD+ display with 2960x1440p resolution powered by octa-core Exynos Series 9 processor. It comes with 4 GB RAM along with 3000 mAh battery. It have 12MP dual-pixel camera with f/1.7 aperture and secondary camera with 8MP with f/1.7 aperture. Here’s what Sania Mirza, Shoaib Malik’s first baby surname will be; is good news on the way? READ NEXT >> Here’s what Sania Mirza, Shoaib Malik’s first baby surname will be; is good news on the way?